↑ "National Geophysical Data Center". National Satellite, Data, and Information Service. ↑ C. Alan Joyce (2007-01-18). "The World at a Glance: Surprising Facts". The World Almanac. 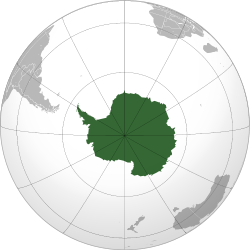 ↑ "Antarctica - The World Factbook". United States Central Intelligence Agency. 2007-03-08.